It reports that Ekniti Nitithanprapas, director-general of Thailand's Revenue Department, wants to utilize blockchain technology to help verify that the correct person paid the correct amount in taxes as well as to decrease the time it takes for citizens to receive a tax return. That's Péter Szilágyi, an ethereum core developer who manages development on the ethereum software client Geth. He's referring to the fact that little attention has been paid to ethereum's underlying network layer, where information is exposed in complex, unpredictable ways. Meetup to discuss Holochain from 7 PM - 9 PM. Today, we continued the nice bounce already started yesterday. 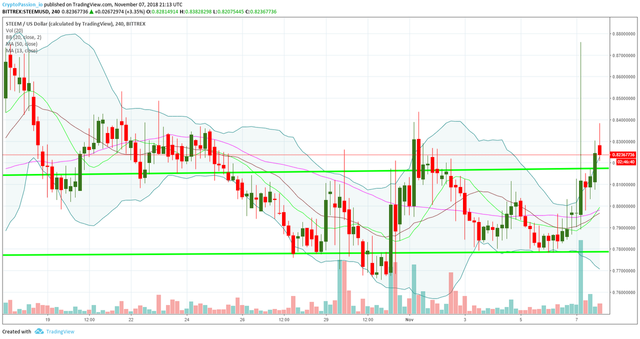 As you can see, we broke the resistance line around 0.81$ just some hours ago and the current candle is showing a possible pull back on that same line. If the pull back is validated, we should go touch that line and continue the bounce after. Thank you for your constant support ! Your UA account score is currently 4.731 which ranks you at #1465 across all Steem accounts. Your rank has dropped 1 places in the last three days (old rank 1464). In our last Algorithmic Curation Round, consisting of 270 contributions, your post is ranked at #95. 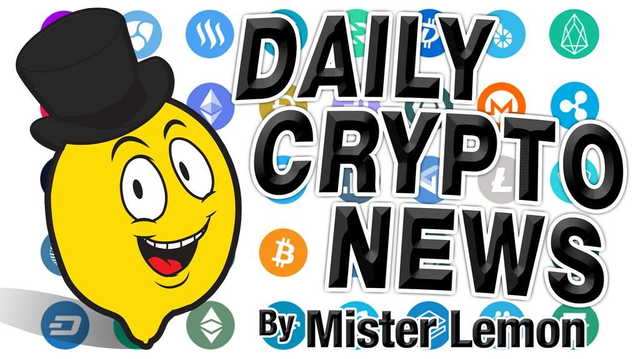 Daily dose of daily crypto news.